We keep getting little hints of summer and then fall back into the routine of spring. The days of warmth and sunshine have me all smiles for this summer to come! Whenever I need inspiration for my next party or home decor I always head to Chapters. They are simply the best. Their summer "life is sweet" line hits all the marks. Yes please! I'll take one of each - the cutest baby and the summer throw pillow. Chapters always delivers on their decor. We love the mix of fruit decals on the drinking glasses. They lend themselves way to a lemon, watermelon, pineapple, strawberry or fruit themed event in the summer. Bring on the parties! We love the gorgeous accessories in bright, fun, playful colours. Sign me to to BBQ if get to wear this apron! I love the slogan "Life is sweet" and reminds me to relish in all of the small moments and cherish them. 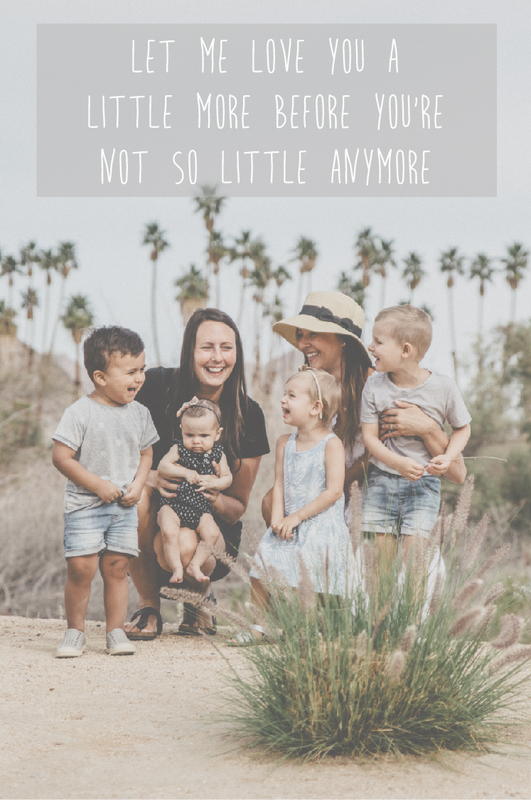 Sweet moments of babies exploring the grass for the first time, baby cousins holding hands, Jake pretend mowing the lawn, Grandma showing her grandchildren the new strawberries and peaches growing - you know....the sweet moments. But with all the pretty decor, there really is nothing sweeter than a Grandma's love for her grandchildren. Summer time is so close I can taste it, with little babes and snacking on something cool and refreshing. Thanks Chapters for helping make life look a little sweeter.